The Nationwide Insurance: Tyler Mooney Agency in Pottstown, PA provides the following products. To learn more about each insurance product, click on the links below. What do you desire from an auto insurance company? Many people ask for a smooth and easy claims process as well as attentive service. Tyler Mooney Agency has teamed up with Nationwide to deliver precisely that experience. Clients are not a number to us, they are individuals. Everyone's car insurance requirements in Pottstown differ, and we recognize that. 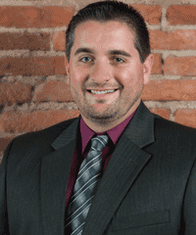 Give Tyler Mooney a call today at (610) 326-0625 to get a conversation going about car insurance needs. Face-to-face chats are great too, just make an appointment and stop by the office at 1241 N Charlotte St. We can provide more information about discounts you may qualify for, such as Multi-Policy discounts, Accident-Free discounts, Paperless documents, and Good Student discounts. At Tyler Mooney Agency we understand that you want insurance coverage for your home in Pottstown without any hassle. Your house and belongings have both economic and emotional value and our agency is here to help you choose insurance that offers both security and peace of mind. In the event of a covered loss, you can rest easy knowing we are here to help. Your coverage needs depend largely on the specifics of your property, such as swimming pools and outbuildings, and Tyler Mooney can help you asses your insurance requirements and choose a policy that offers the coverage you need. Tyler Mooney Agency has joined with Nationwide to provide you with a variety of sensible home insurance options, including customized coverage programs such as Brand New Belongings®. With this program, you'll receive the cash value of your possessions as well as coverage for any additional funds it takes to replace or repair them. If you enjoy hosting large group gatherings, we can help you determine whether you need additional coverage in case of an accident or injury to one of your guests. Whether your situation requires additional specialized insurance or is more traditional, we can help you find the coverage you need. To find out more information regarding the programs that are right for you, call (610) 326-0625 today. Our experienced agents can help meet your needs with a customized insurance package, possible discounts, and hassle-free service. We can even help you choose and purchase a policy over the phone. Call today, or stop by our office at 1241 N Charlotte St.
We at Tyler Mooney Agency are here to help people like you in the Pottstown area. We are here to answer your questions and make life insurance understandable. We will explain term versus permanent insurance and we will outline the types of life insurance that may be best for you. Life gets hectic; make sure you are not too busy to take care of yourself and your family. 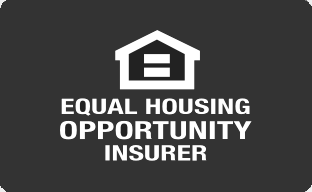 Call us now at (610) 326-0625 and ask for Tyler Mooney. We are located at 1241 N Charlotte St,Pottstown,PA,19464 and you are welcome to stop in any time. Let us help you find the right policy to assure your family’s financial security. We all strive to be at our very best at every possible moment to fulfill our own individual obligations and meet the needs of those around us. Yet there will be times when factors outside of our control present risks. Perhaps in no other facet of life is this more true than in business. As a small business owner, your effort in building your company needs to be protected by a sound insurance plan. We at Tyler Mooney Agency would be happy to provide you with that. Thanks to our association with Nationwide, all of the core coverage elements needed to build the right business insurance policy in Pottstown are right at your fingertips. You can start with basic options such as commercial property and business liability insurance, and then supplement that with business auto coverage. Then, depending upon the unique aspects of your company, you can choose to add extra coverage such as crime insurance, cyber liability protection, workers' compensation, and added financial security through accounts receivable and business interruption insurance. Not sure how much insurance you'll need? Choose instead to go with a businessowners policy, which offers a wide range of coverages designed to provide a convenient package. Building the ideal small business insurance plan can be easy if you have the right help in doing it. Tyler Mooney is here to help. We look forward to discussing all of the business insurance benefits that Nationwide has to offer. To learn more about covering your company through Nationwide, stop by and speak to us at our office on 1241 N Charlotte St, or call and schedule an appointment at (610) 326-0625. The Tyler Mooney Agency also offers products in NY, PA. Please call for information on products in those states. The Tyler Mooney Agency first opened in January 2010 in Allentown, Pa. We quickly grew our sucessful agency and in January 2013 we acquired another agency from retiring Nationwide agent, Cheryl Kreger in Pottstown. We joined agencies and moved into our current location in historic downtown Pottstown. We service all of Pennsylvania, New York, New Jersey, and Maryland. In the busy world we live in, no one has time to worry about insurance or if they have the proper coverage. At The Tyler Mooney Agency, we strive to be the best in customer service and give you appropriate, affordable insurance at a reasonable price.